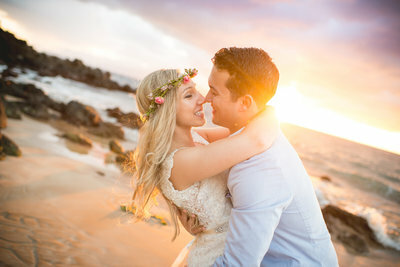 This bride and groom were so sweet together at their Maui Elopement! Stephanie had been to Maui once before but this was Michael’s first time here. How fun! We are confident this is one trip neither of them will ever forget 🙂 . I mean, how could they? It’s safe to say they’ll be back again! Stephanie is originally from Florida while Mike is originally from Indiana. They met on match.com and now live in Greenville, South Carolina! We are thrilled these two found each other and grateful for the technology that made it possible! 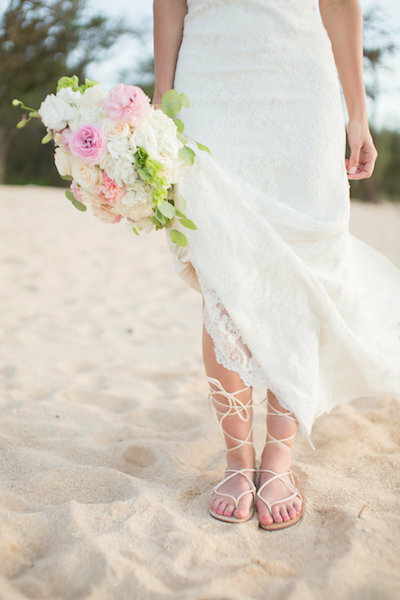 We cannot get over the way they looked at each other during their Maui Elopement. Those smiles on their faces say it all, this bride and groom could not be more in love! 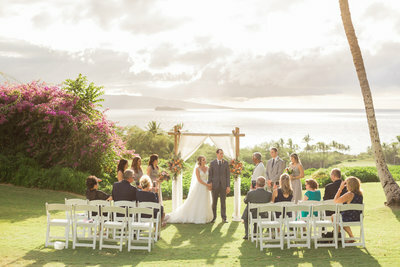 Thank you, Stephanie and Michael, for letting Simple Maui Wedding celebrate this special day with you! Congratulations and Warm Aloha!